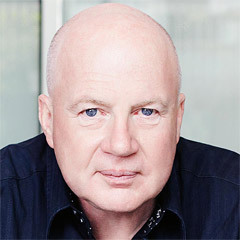 A guest blog from Robin Dyke, rugby player, published poet, mentor and Old Friend – on our first visit to The Olive Groves of Andalusia… to the home of my friend of 55 years, judge Phillip Sycamore and Morecambe Grammar School better half, Sandra. Andalusia, Spanish: Andalucía, a southwestern European region established as an autonomous community of the Kingdom of Spain; the most populated and the second largest in area of the autonomous communities in Spain. The olive tree, Olea europaea, an evergreen tree native to the Mediterranean, the source of olive oil a core ingredient in Mediterranean cuisine. Long considered sacred, the olive over the centuries has been a symbol of peace, wisdom, glory, fertility, power and purity. Old Friends, they shine like diamonds/Old friends, you can always call/Old friends, Lord, you can’t buy’em/Ya know, it’s old friends after all – Guy Clark. Backdrop the storied historical and cultural ambiance of Madrid, Barcelona and Seville. Fill in a series of sierras and rolling hills within the triangled boarders of Granada, Córdoba and Malaga. Dot these southern Andalusia hills with olive trees in checkerboard symmetry as far as the eye can span so they are more numerous than the grains of sand of the Costa Del Sol and you are close to your destination. With the pale turquoise waters of the Embalse de Iznájar, the largest reservoir in the whole of Andalusia, below you, one final upward winding narrow road and Villa “Los Olivos” tranquilly embraces you. The expectation is five days at Los Olivos to be staged all well within the confines of its cool white walls, trellised walkways and patios and inviting pool – all prompts for live life slow lines; relax, connect with the setting, your hosts and fellow guests. And so it was, yet... our gracious hosts in addition to their Villa centred hospitality provided an abundance of exploratory excursions and culinary delights. While strolling visits to small “white towns” and an awe inspiring visit to The Alhambra monument complex in Granada were unexpected highlights, the true delight of Los Olivos was the range of the gastronomical experiences arranged in five acts. Act One – on site, Phillip’s Los Olivos “paella”, a savoury combination of chorizo, pork belly, prawns, chicken, peppers and rice spiced with saffron. Judged fantastico! Act Two – tapes at the Bodegas Castaneda, Granada’s oldest classic tapas bar. Stepping back in standing room only time with the locals at the long dark wood bar, enjoying the flurry of tapas variety, the anchovies on foie gras to die for. Try a taste of the unique ambiance at here. 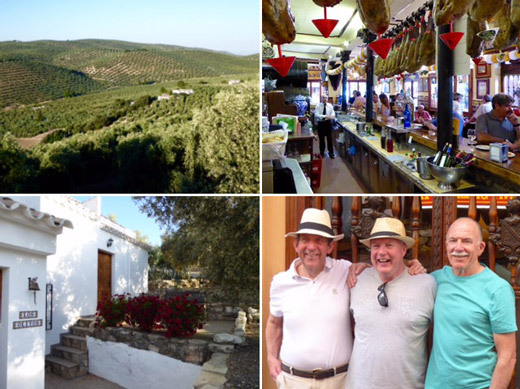 Act Three – dinner down the lane from home at Cortijo La Haza, a generous and wholesome three course home style table d’hotel. Act Four – a winding trip up to the small town of Algarinejo for an astounding fourteen course slow food tasting. A four hour dazzling display of creativity and engaging of all five senses by Chef Jose Caracuel at his Casa Piolas Bar and Restaurant. The servings with elements of cirque du soleil alchemy were truly priceless, ingredients included: stacked olives with olive caviar, jamon and salamis hung from a drift wood clothesline, warm salad with creamy goat cheese, chocolate rounds stuffed with pate and shaved orange rind, mushroom cream soup, smoked eel between crunchy pastry, seared tuna with wasabi, salmon with quince, squid ceviche, sea bass, melt in your mouth pork cheeks, fruit and sherbet in a mist of dry ice! Not to mention a very fine Pago de Los Capellanes 2012 Ribera del Duero. Act Five – the sedate finale, an exquisite formally served dinner at Barceló La Bobadilla, a luxurious resort catering a “natural setting stay in one place retreat” in a stunning combination of buildings, gardens and recreational facilities. A graciously tranquilizing and satisfying dining ending gratefully played out. Of course, the sacred act of olives shared amidst the on and off stage asides and lines played as they came, unrehearsed in early morning encounters, at pool side, during hora feliz or under the enlightening stars – stitching the unfolding canvas of relationship in a tighter wrap. All the kinship enactment of old friends who are old friends after all. A grateful curtain call and standing ovation to Los Olivos co-host directors, players and old friends – Sandra and Phillip Sycamore.